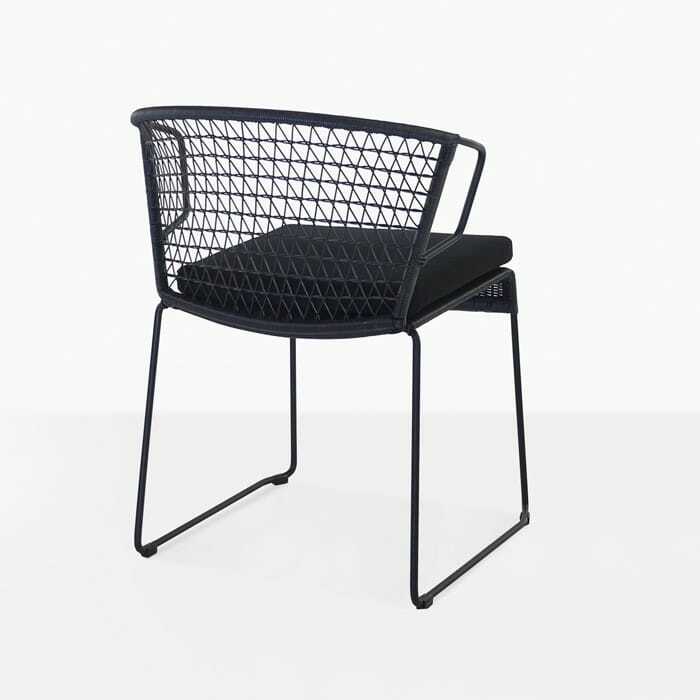 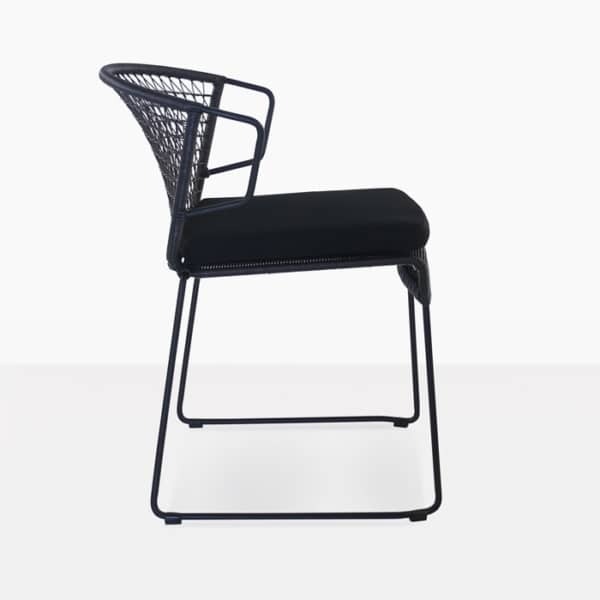 The Sophia dining chair in black is a fantastic design that combines sleek modern lines with a little wicker charm that makes this dining chair a delight to look at and sit in. The design elements are interesting and unique and make this a standout chair that will go well with many different types of dining tables. 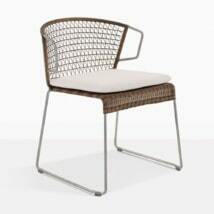 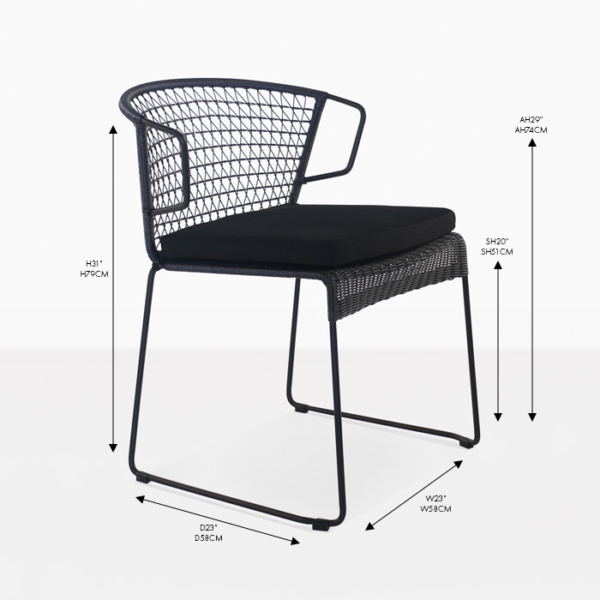 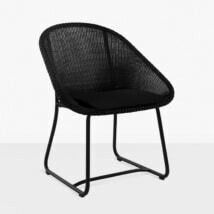 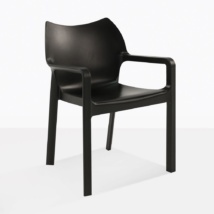 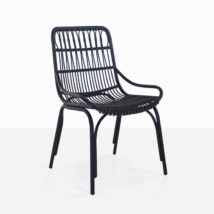 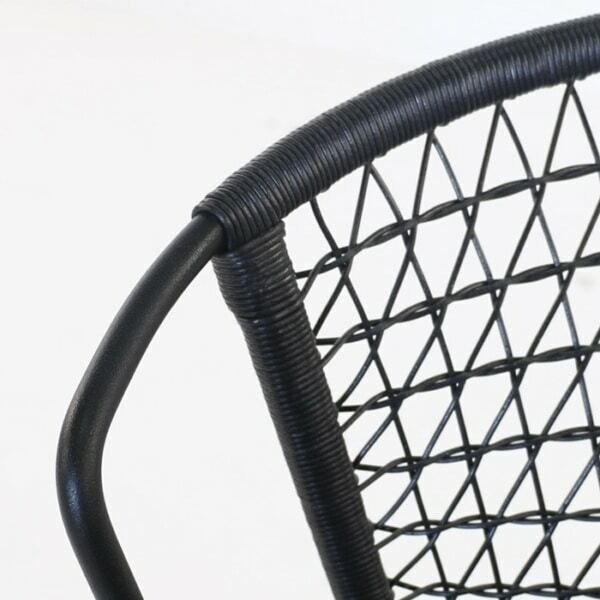 It has a strong sturdy frame made out of powder-coated steel and outdoor wicker. 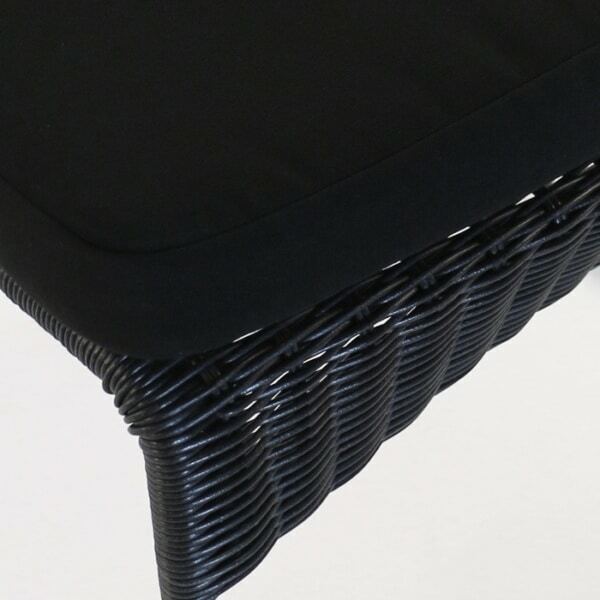 The wicker is beautifully wrapped around the frame and woven into a light and airy pattern. The curved back and Sunbrella cushion make is comfortable and the perfect chair to enjoy long meals outdoors.